Working at technology centers on two coasts, US Sailing has engineered a number of measurement and testing parts that facilitate the set-up of boats to meet required standards. The US Olympic Sailing Team is working at the technology centers in San Francisco and Boston to design and build cutting-edge components for its fleet of racing craft and support boats. At our technology center situated on the San Francisco Bay, the team captured accurate measurements of boat and component performance on water and then visualized the sensor data. They refined components based on the ongoing analysis of performance data and design iterations. Lastly, they modelled and simulated the design iterations to pursue their goal of manufacturing superior-performing parts and components. Simply put, the technology centers are helping deliver solutions at each stage. To date, US Sailing has utilized the Autodesk relationship to build wind-sensing equipment kits that are fit to motor boats with which coaches monitor or ‘chase’ their sailors' boats through training and competition. The next raft of project work will involve the design of requisite boat-performance-sensing equipment incorporating IOT, IMU, load cell, lidar, pressure and strain gauge technology for use in heavy weather conditions, like strong winds and waves, while minimizing drag and invasiveness. This work and these sensors will enable the collection of data that then feeds the generative design pathway to radically enhance certain components. Finn class rules enable modifications far more readily than all of the other Olympic class boats. Currently, US Sailing is seeking to design and build completely novel components for its Finn class boat. 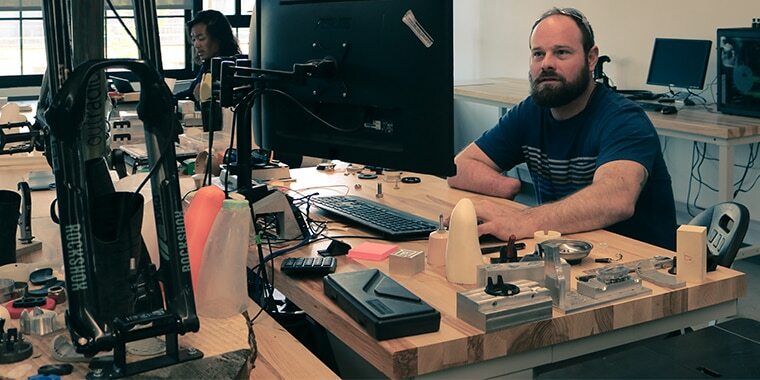 Working out of the Autodesk Technology Center at the Boston BUILD Space, Braden Leonard and his team are using state of the art equipment to design and build custom prosthetics. 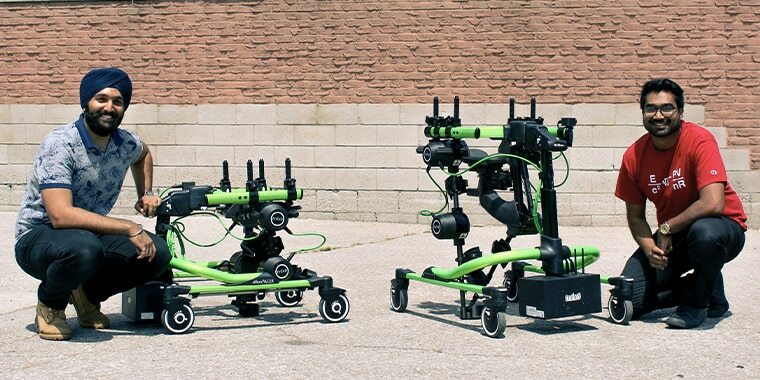 Faced with the reality that his nephew may spend the rest of his life wheelchair bound, Trexo co-founder Manmeet Maggu was determined to build a device to help his nephew walk. 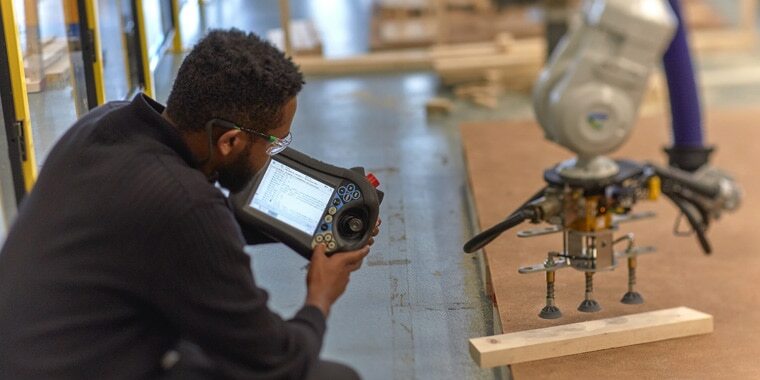 Perkins + Will’s Technology Lab leveraged its previous research into mass timber and robotic fabrication, combining expertise across offices in a year-long effort. 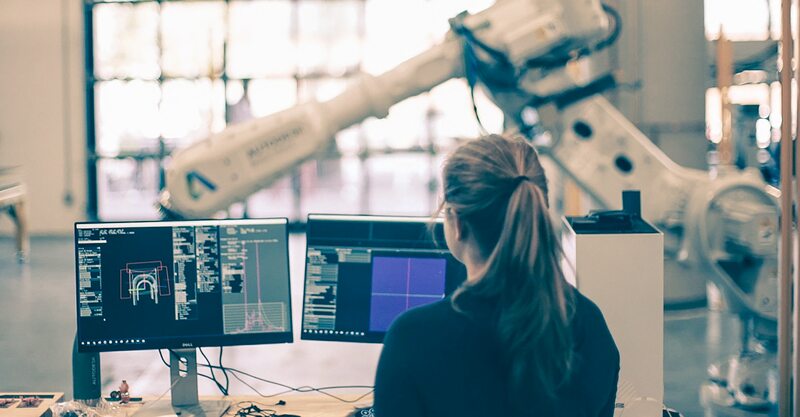 The residency program provides open workspaces and equipment for teams doing forward-looking work in the areas of construction, manufacturing, and emerging technologies.